Dissident movement [Дисидентський рух; Dysydents'kyi rukh]. The dissident movement came into existence in the USSR after the death of Joseph Stalin. It protested against violations of the law by organs of the state and demanded national and human rights and adherence to the constitutions of the USSR and the Union republics. In Ukraine, as in other republics of the USSR where national oppression was keenly felt, the dissident movement represented a struggle against the violation of the republic's rights of sovereignty by the central government and the Communist Party, a resistance to colonization by foreign elements and to the resettlement of Ukrainians outside Ukraine, and a protest against the destruction of cultural monuments, the falsification of the history of Ukraine, and generally against the policies of Russification. For many dissidents, the movement also represented a struggle for political rights. Dissent was expressed during the period of de-Stalinization in the struggle for freedom of intellectual creativity. Oleksander Dovzhenko, who in 1955 demanded the ‘expansion of the creative boundaries of socialist realism,’ may be considered the movement's instigator. In Ukraine de-Stalinization saw the emergence in the 1960s of young and talented prose writers, poets, and literary critics known as the ‘the Sixtiers’ (see Shistdesiatnyky). 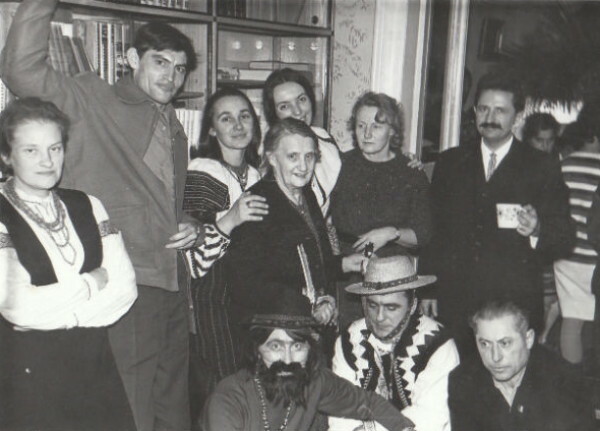 They included Lina Kostenko, Vasyl Symonenko, Ivan Drach, Vitalii Korotych, Mykola Vinhranovsky, Valerii Shevchuk, Ivan Dziuba, Yevhen Sverstiuk, Ivan Svitlychny, and later Vasyl Stus, Mykhailo Osadchy, Ihor Kalynets, and Iryna Kalynets. These writers were joined in the creative resurgence of the 1960s by such scholars, publicists, philosophers, and artists as Viacheslav Chornovil, Valentyn Moroz, Alla Horska, Opanas Zalyvakha, and Mykola Lukash. As harbingers of the idea of creative freedom, these individuals became symbols of the Ukrainian national renaissance. One of the first outward manifestations of the dissident movement in Ukraine took place at the Conference on Culture and Language at Kyiv University in February 1963, where it was demanded that Ukrainian be instituted as an official language of the Ukrainian SSR and that the rights of Ukrainians as a national minority be restored in the RSFSR. The conference became, in fact, a national demonstration of about 1,000 people, challenging the policy of Russification. On 4 September 1965 a protest against arrests in Ukraine was held in the Ukraina cinema in Kyiv. The gathering was addressed by Ivan Dziuba, who in December of that year sent an open letter protesting the repressions to Petro Shelest, the first secretary of the Central Committee of the Communist Party of Ukraine, and to Volodymyr Shcherbytsky, the chairman of the Council of Ministers of the Ukrainian SSR. Dziuba enclosed with his letter the manuscript of his book Internatsionalizm chy rusyfikatsiia? (Internationalism or Russification? ), which was later distributed as a samvydav document and smuggled to the West. A petition in defense of arrested individuals was signed in the autumn of 1965 by leading Ukrainian cultural figures, including Mykhailo Stelmakh, Andrii Malyshko, Heorhii Maiboroda, Platon Maiboroda, Oleg Antonov, Serhii Paradzhanov, Vitalii Kyreiko, Lina Kostenko, Ivan Drach, and Leonyd Serpilin. The movement for the rebirth of Ukrainian culture had in fact begun by 1958–9, with a protest (involving Maksym Rylsky, Mykola Bazhan, and others) against the new education law that promoted the increased Russification of schools in Ukraine. Protests continued for several years, not only in opposition to the persecution of dissidents, but also in defense of the national and political rights of the Ukrainian people. The movement gained mass support. In April 1968, 139 citizens of Kyiv appealed to Leonid Brezhnev, Mykola Pidhirny, and A. Kosygin in protest against the wave of arrests and the restriction of Ukrainian language and cultural rights. In 1968 also, more than 300 individuals in Dnipropetrovsk signed the ‘Letter from Creative Youth’ protesting the Russification of their city. This received some coverage in the local press. The residents of the city of Vyshhorod in Kyiv oblast protested to the Central Committee of the Communist Party of the Soviet Union against the abuse of power by local authorities. Other, broader expressions of dissent included the yearly demonstrations in May on the anniversary of the transfer of Taras Shevchenko's body to Ukraine, which were regularly dispersed by the KGB. On this occasion in 1967 a clash developed between the demonstrators and the KGB, in reaction to which 64 citizens of Kyiv sent a letter of protest to Leonid Brezhnev, Petro Shelest, and Ivan Holovchenko, the minister for the protection of public order. Demonstrations of several hundred participants took place in Lviv in April 1966 during the trial of the brothers Bohdan Horyn and Mykhailo Horyn and others, and in Kyiv in November 1970 during the funeral of the murdered Alla Horska. In 1968, on the 51st anniversary of the October Revolution of 1917, Vasyl Makukh set fire to himself on Khreshchatyk Boulevard in Kyiv, shouting the slogans ‘Rid Ukraine of the colonizers’ and ‘Long live free Ukraine.’ In February 1969, also in protest against the oppression of Ukraine, M. Beryslavsky attempted self-immolation near Kyiv University. Workers' strikes and protests belong to the broader manifestations of the Ukrainian dissident movement. In 1963 a workers' strike took place in Kryvyi Rih in protest against increased food prices and food shortages. In Odesa dock workers refused to load butter for export to Cuba. Strikes occurred in 1969 at the hydroelectric station in the village of Berizka; in 1972 in Dnipropetrovsk protests took place against the influx of Russians into the factories; in June 1972 in Dniprodzerzhynsk several thousand people were involved in a bloody confrontation with the police and the armed forces while protesting the harsh conduct of the authorities; and in 1973 a strike took place at the automotive plant in Kyiv. 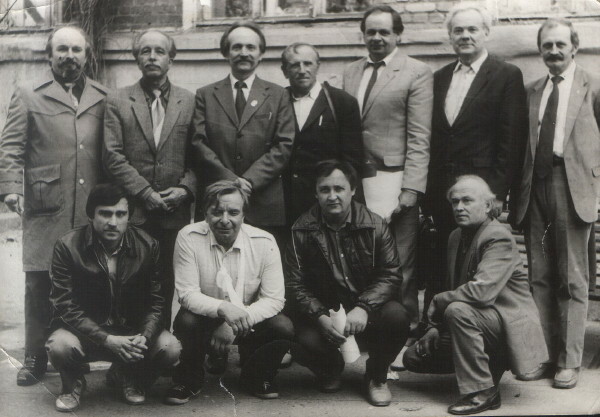 In 1977–8 a group (primarily of Donetsk workers) led by Vladimir Klebanov formed an independent trade union and put forth demands for socioeconomic improvements. In 1977, 25 Donbas workers filed a complaint to the Belgrade conference reviewing the Helsinki Accords about the disregard for workers' rights in the USSR. L. Siry, a Ukrainian worker in Odesa, wrote letters to various prominent figures in the West, appealing for aid to emigrate because of the economic hardships suffered by his family. In addition to these spontaneous outbursts, dissent had begun to be expressed in an organized form as early as the late 1950s. At intervals during and after the Second World War, the movement became organized through its connection with the Ukrainian nationalist underground and partisan struggles (Organization of Ukrainian Nationalists and Ukrainian Insurgent Army). In late 1959 a group of Ukrainian jurists led by Lev Lukianenko drafted a program for the Ukrainian Workers' and Peasants' Union, the aim of which was to undertake legal action for the secession of the Ukrainian SSR from the USSR. The draft program stated that its ideal was ‘an independent Ukraine with a highly developed socialist political system.’ In January 1961 Lukianenko was sentenced to death, but the verdict was commuted to 15 years' incarceration. The other accused (Ivan Kandyba, S. Virun, O. Libovych, V. Lutskiv, I. Borovnytsky, I. Kipysh) received sentences ranging from 10 to 15 years' imprisonment. Between 1957 and 1967 several small, illegal groups were active in Western Ukraine: the United Party for the Liberation of Ukraine, the Ukrainian National Committee, and the Ukrainian National Front. The latter group published new editions of several publications of the Organization of Ukrainian Nationalists and 15 issues of the journal Volia i bat'kivshchyna between 1965 and 1967. Members of all of these groups were also imprisoned, and the Lviv court sentenced two members of the Ukrainian National Committee, I. Koval and B. Hrytsyna, to death. The trials of the above-mentioned group members took place in camera. The political trials of 1966 were partially open; however, the 1973 trial of the five organizers of the Union of the Ukrainian Youth of Galicia in Ivano-Frankivsk took place entirely in camera. A separate aspect of the dissident movement was the struggle for freedom of religion, in which Ukrainian Catholic, Orthodox, and various Protestant groups were involved. This struggle was characterized both by public campaigns that were wider than those conducted by political groups and by the involvement of semilegal organizations. It expressed itself primarily in the form of petitions and protests against the violation of freedom of conscience and religious persuasion. Neither Nikita Khrushchev's antireligious campaign (1959–64), during which half of Ukraine's Orthodox churches (almost 7,000 in 1959 alone) were closed, nor other repressive measures taken by the regime succeeded in obliterating the Ukrainian Orthodox church. Rev Vasyl Romaniuk, who was sentenced in 1972 to a 10-year term, was particularly active in sending petitions and appeals to church and secular leaders in the USSR and in the West. The Baptist minister and leader Georgii Vins, who was incarcerated in Yakutiia, was engaged in similar activity. He emigrated to the United States after his release in 1979. The monks of the Kyivan Cave Monastery, which was closed in 1961, petitioned Leonid Brezhnev in 1977 to reopen the monastery. The efforts of the state authorities to close the Pochaiv Monastery in 1974 were frustrated by the solidarity of the monks and the religious community's opposition. Although the Ukrainian Catholic church was abolished in 1946, several bishops and 300–350 priests (who work as laborers or clerks) remained covertly active in the western regions of Ukraine. In 1968–9 the KGB conducted mass arrests among the clergy of the Ukrainian Catholic church and sentenced Archbishop Vasyl Velychkovsky to three years' imprisonment. In 1973 Rev V. Prokopiv was arrested for having led a delegation of the faithful to Moscow to demand the official reinstatement of the Ukrainian Catholic church. In 1982 the Initiative Group for the Defense of the Rights of Believers and the Church in Ukraine was created by Yosyp Terelia. Among Protestants dissent was most evident on the part of groups functioning outside the officially recognized church and independent of the All-Union Council of Evangelical Christian-Baptists (known as Initsiatyvnyky), and by sects such as the Pentecostalists, Adventists, and Jehovah's Witnesses. Several of these groups (eg, the Pentecostalists of Luhansk oblast, Donetsk oblast, and Kherson oblast and Ukrainian Pentecostalists living in Siberia) sought permission to emigrate from the USSR. Jewish dissidents in Ukraine struggled primarily for the right of Jews to emigrate. Some Jewish dissidents (eg, S. Gluzman) co-operated with the Ukrainian dissidents. One form through which dissent in Ukraine was expressed was samvydav (samizdat) literature. The first known document of Ukrainian samvydav was the ‘Open Letter to the United Nations and the Human Rights Commission of the UN’ from 13 Ukrainian political prisoners in the Mordovian labor camps in 1955. Samvydav documents written in the early 1960s and subsequent years include the uncensored poems and diary of Vasyl Symonenko; a pamphlet entitled ‘On the Occasion of Pogruzhalsky's Trial,’ protesting the mysterious burning of the Central Scientific Library of the Academy of Sciences of the Ukrainian SSR in Kyiv in May 1964; the 1964 ‘Appeal to the Communists of the World,’ signed by the ‘Communists of Ukraine’; the political essays of Valentyn Moroz, especially his ‘Report from the Beria Reserve’; The Chornovil Papers by Viacheslav Chornovil, documenting the trials of Ukrainian intellectuals in 1966; Mykhailo Osadchy's prison memoirs, Bil'mo (Cataract); transcripts of political trials (eg, a transcript of the 1966 trial of M. Ozerny by the literary editor of the daily Radians'ka Ukraïna, Pavlo Skochok); and hundreds of petitions and letters of protest from political prisoners. The first issue of Ukraïns'kyi visnyk, a chronicle of Ukrainian dissent, appeared in 1970, and eight issues were published by 1973. After a 13-year silence the journal was renewed, in 1987, with the appearance of issue 7 (the earlier issues 7–8 were not recognized by the journal's founders). Dissident activities in Ukraine constantly elicited repressive measures on the part of the regime. The first extensive wave of arrests and trials took place in 1965–6 and involved Ivan Hel, Bohdan Horyn, Mykhailo Horyn, Opanas Zalyvakha, D. Ivashchenko, Sviatoslav Karavansky, Mykhailo Masiutko, Valentyn Moroz, Mykhailo Osadchy, and others. The second wave occurred between January and April 1972, when Viacheslav Chornovil, Yevhen Sverstiuk, Ivan Svitlychny, Nadiia Svitlychna, Ivan Dziuba, Mykhailo Osadchy, Vasyl Stus, Stefaniia Shabatura, Ihor Kalynets, Iryna Kalynets, Oleksander Serhiienko, Nina Strokata, Rev Vasyl Romaniuk, Yurii Shukhevych, and others were arrested. They were tried for ‘anti-Soviet agitation and propaganda.’ The verdicts were harsher than those of the 1960s. At the same time repression was exercised in the form of dismissal from employment, expulsion from school, and eviction from apartments. At Lviv University 23 students were expelled and 27 lecturers were fired. Several of them, including Zorian Popadiuk and Ya. Mykytka, were also arrested, ostensibly for publishing the samvydav journal Postup. The state's offensive against the dissident movement from 1972 on was not limited to the leading figures of the movement but extended to members of the Ukrainian intelligentsia who were minimally involved with the movement and, later, to members of the Party cadres. In May 1972 Petro Shelest, the first secretary of the Central Committee of the Communist Party of Ukraine, was dismissed from his post. In 1973 a purge of the Institute of Archeology of the Academy of Sciences of the Ukrainian SSR, Institute of History of the Academy of Sciences of the Ukrainian SSR, Institute of Literature of the Academy of Sciences of the Ukrainian SSR, and Institute of Philosophy of the Academy of Sciences of the Ukrainian SSR was conducted. As a result, some of the associates of the academy, including Mykhailo Braichevsky, Olena Apanovych, and Fedir Shevchenko, were dismissed; others, including Vasyl Lisovy, Yevhen Proniuk, and Yurii Badzo, were arrested and sentenced. The arrests and imprisonments did not succeed in stifling dissent in Ukraine. With a very few exceptions (Ivan Dziuba, Zenovia Franko, Z. Selenenko, Mykola Kholodny), the KGB did not succeed in forcing the leading figures in the movement to renounce their views. A new stage in the development of the dissident movement began with the 9 November 1976 creation of the Ukrainian Helsinki Group, originally headed by the writer Mykola Rudenko, with the assistance of the former general Petro Grigorenko. The Helsinki group elucidated its position in numerous documents, especially in ‘Dekliaratsiia’ (Declaration) and ‘Memorandum No. 1.’ During 1977 and 1978 five members of the group (Rudenko, Oleksa Tykhy, Mykola Matusevych, Myroslav Marynovych, Lev Lukianenko) were sentenced to prison terms ranging from 12 to 15 years. The group was, however, replenished with new members, including Petro Sichko, Vasyl Sichko, Vasyl Striltsiv, Vitalii Kalynychenko, and political prisoners still in the labor camps. According to samvydav documents, several thousand people were involved in the Ukrainian dissident movement in the late 1970s and early 1980s. At the same time approx 60–70 percent of the political prisoners in the USSR were Ukrainians (according to the Ukrainian Helsinki Group’s ‘Memorandum No. 1’). The dissidents were predominantly members of the professional intelligentsia and students, although workers and peasants were also represented. The individuals involved were generally young or middle-aged. The major base for the Ukrainian dissident movement was central Ukraine, in particular Kyiv. This area produced the movement's most prominent figures (Ivan Dziuba, Yevhen Sverstiuk, Ivan Svitlychny, Viacheslav Chornovil, Vasyl Lisovy, Vasyl Stus, Lev Lukianenko, Mykola Rudenko), who were responsible for formulating its political demands. In relation to their populations the western regions of Ukraine was also strongly represented in the movement. The political position of the dissident movement was based on the notions of humanism, democracy, and individual and national freedom. The human individual and his/her dignity and right to develop freely regardless of political and ideological convictions, religion, or nationality were central in dissident thought. Most leaders of the Ukrainian dissident movement demanded an independent Ukrainian state. According to some this goal was to be achieved by restructuring the USSR, so as to guarantee genuine self-determination for Union republics; according to others this was possible only through secession from the USSR. The dissidents respected the rights of other nationalities in Ukraine and condemned imperialism and chauvinism. In the same spirit Ukrainian political prisoners established friendly relations with leading dissident figures of other nations and national minorities, including many Russians. At the same time, Ukraïns'kyi visnyk rejected the claim of the editorial board of the Russian Chronicle of Current Events to speak for Ukrainians and other non-Russian peoples of the USSR. Tactically, the Ukrainian dissident movement generally adhered to legal and constitutional means of struggle. Particularly important were the efforts of leading dissidents to involve the masses in an active defense of national interests (cf ‘Pozytsiï ukraïns'kykh politychnykh viazniv’ [The Positions of Ukrainian Political Prisoners] by Vasyl Romaniuk and Oleksa Tykhy, 1977). Ukrainian samvydav documents were widely distributed in the West in foreign languages. These and the co-operation of Ukrainian political prisoners with prisoners of other nationalities engendered a receptive attitude in Western progressive circles to the political positions of the Ukrainian dissident movement. In addition, dissidents such as Leonid Pliushch, Petro Grigorenko, Valentyn Moroz, Nadiia Svitlychna, Sviatoslav Karavansky, Nina Strokata, and Volodymyr Malynkovych contributed significantly to the dissemination of the ideas of the Ukrainian dissident movement after their arrival in the West. Many prominent Western figures, including Heinrich Böll, Günter Grass, G. Myrdall, N. Mailer, N. Chomsky, and Leopold Bernstein, signed petitions to Soviet authorities in defense of Ukrainian prisoners of conscience.